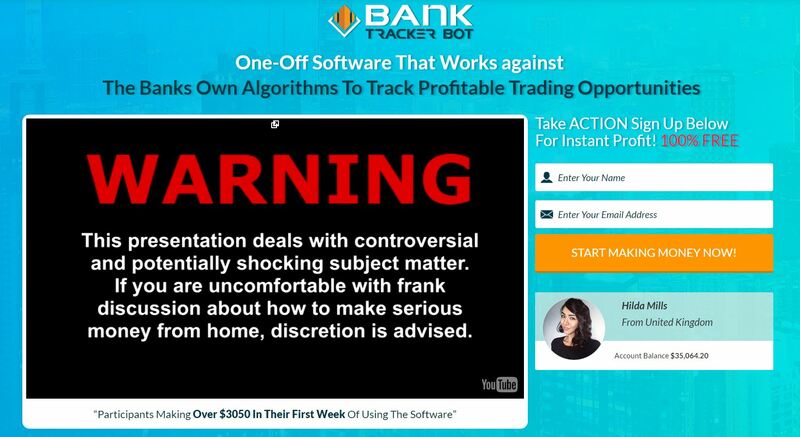 In this review we prove that “Bank Tracker Bot” is a binary options scam. It is presented by Michael George. George says that he once got a call from his friend Steve who made him test a binary options trading software called the Bank Tracker Bot or BTB. 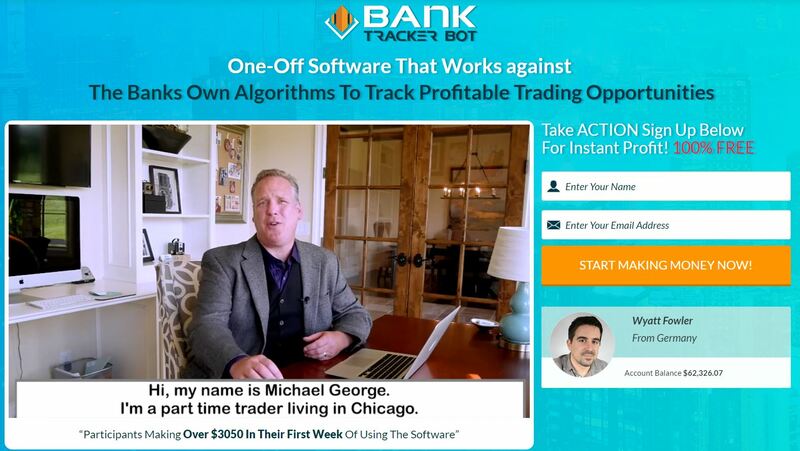 The Bank Tracker Bot allegedly has a 98.7% win ratio, so George is making a lot of money with it. 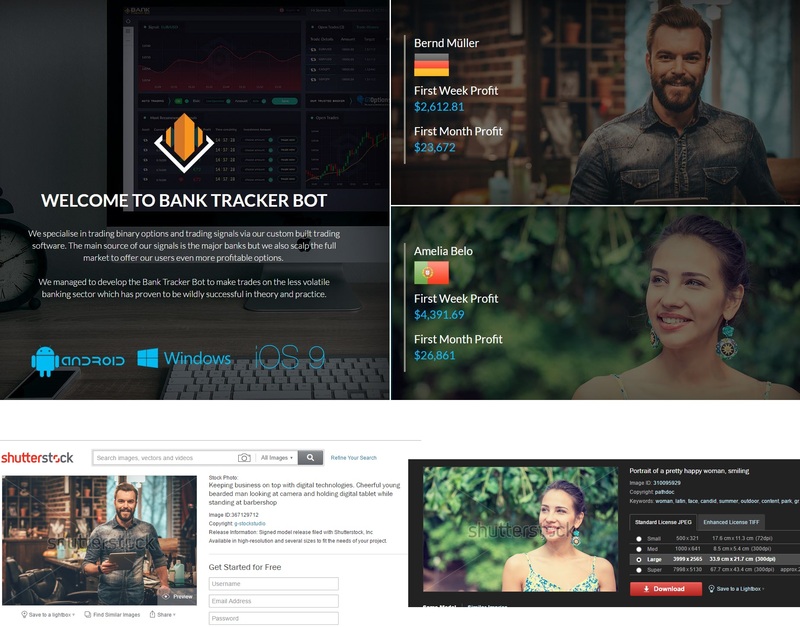 And because becoming millionaire is always free, you can get the Bank Tracker Bot for free. This is really the typical binary options scam scheme, it brings nothing new to the industry. A poor story about a supposedly miraculous software, meanwhile in reality it is a recycled crappy app that loses money to its users. In reality the creators of this scam will get paid by their broker for referring you as a new depositor. So they will push you to deposit to earn them a commission. Once you do it, they won’t care about you losing your deposit with the Bank Tracker Bot. On the BTB web page you can see some testimonials, but as usually they are totally fake. Fictitious numbers and names with stock photos. Look at the picture to see where the photos are from. The Bank Tracker Bot is in fact an absolutely useless piece of software that generates losses. It is used by scammers only. Take a look at the picture, lately it has been used in the Azure Method and Perpetual Formula scams. We have a lot of negative feedback about this app. 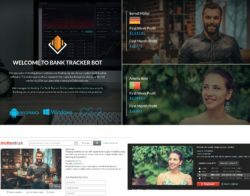 Bank Tracker Bot is a very simple scam designed to lose your money in trading with a worthless app. Making money with binary options requires more than that, first you have to build a really profitable strategy on a demo account. Only then you can start to invest real money and achieve real profits.